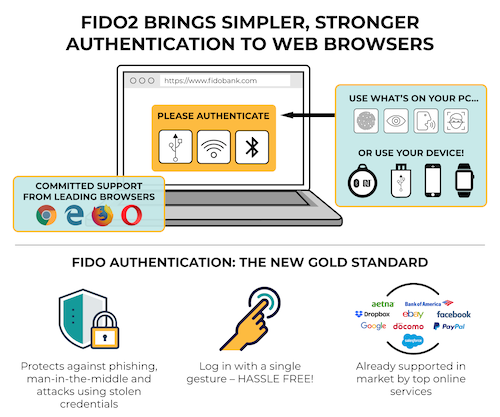 W3C and the FIDO Alliance have achieved a major standards milestone in the global effort to bring simpler yet stronger web authentication to users around the world. 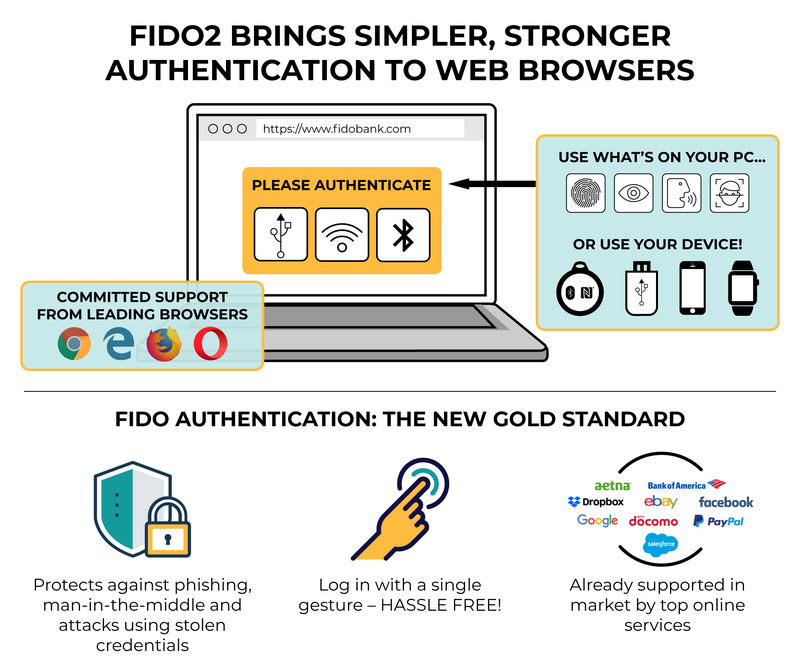 The completion of the FIDO2 standardization efforts, the recent advancement of Web Authentication (WebAuthn) to Candidate Recommendation, –and the commitment of leading browser vendors to implement– enable users to login easily to online services with desktop or mobile devices with phishing-resistant security. WebAuthn, a standard web API to give users new methods to securely authenticate across sites and devices, has been developed in coordination with FIDO Alliance and is a core component of the FIDO2 Project along with FIDO’s Client to Authenticator Protocol (CTAP) specification, which enables an external authenticator, such as a security key or a mobile phone, to communicate strong authentication credentials locally over USB, Bluetooth or NFC to the user’s computer or tablet. Please, read the joint Press release and testimonials from W3C Members.